Laces and side gores for a best fit. Good sole and heel for riding horses. Spur Rest. Also available in Brown style #BG-6038. Also available in Childs black or brown. 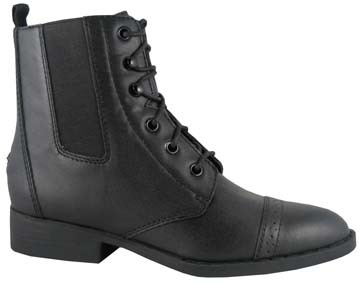 RIDING BOOT with Elastic Gores and Laces.